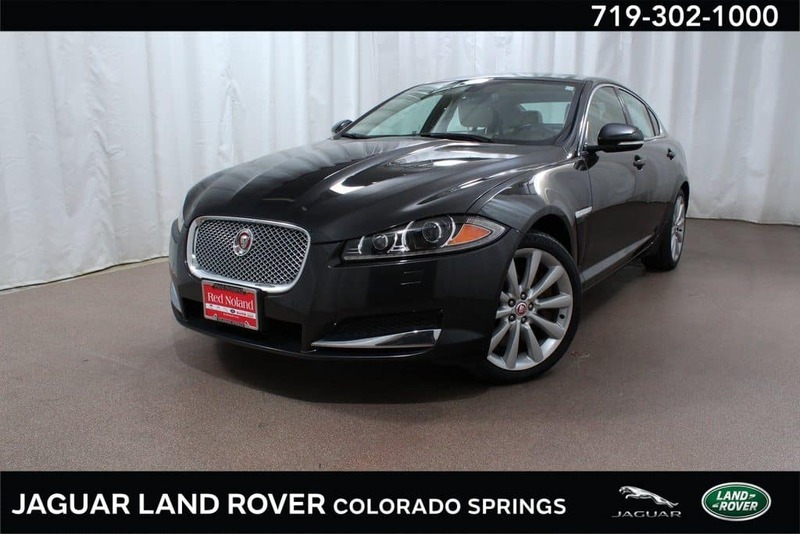 Jaguar Colorado Springs is excited to have a beautiful, gently used 2015 Jaguar XF Portfolio in our inventory. You will love the stunning Ivory interior on this amazing CarFax One-Owner mid-size luxury sedan. Winter driving is a breeze with traction control from the advanced all-wheel drive powertrain. The 340 horsepower 3.0L supercharged V6 engine is both powerful and fuel-efficient, earning an estimated 17 MPG in the city and an incredible 27 MPG on the highway. Enjoy top of the line luxury amenities including a premium 825W Meridian surround sound audio system, handy rear parking camera, power moonroof, blind spot sensor, navigation system, ventilated heated/cooled front leather seats, brake assist, heated steering wheel, premium Protection Package, and many more amazing features. The best part is the low Jaguar Colorado Springs price of only $30,989. This elegant Jaguar is also still under Manufacturer’s warranty. Stop in to Jaguar Colorado Springs today for your test drive!